Outsourced Payroll Processing offers many Benefits for your Business. By outsourcing your payroll requirements to Compu-Pay you can free up time to focus on your core business activities while we focus on your payroll delivering significant cost savings to your business. No Payroll Department to manage internally but a complete outsourced service offering all the benefits of a Payroll Department without any of the overheads or responsibility. Peace of mind when outsourcing which offers our payroll services on a fixed cost basis. Access to knowledge and expertise not available in house with a team of specialists always available to help. Highly client focused professional solutions increase payroll efficiency. Eliminate the risk of relying on one person. Confidential secure service. Below are reason why to outsource. 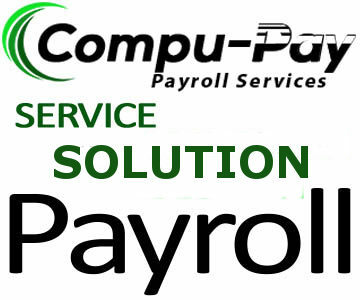 This is certainly not an exhaustive list of what Compu-Pay Payroll Services can do for you. Why not contact us to find out how we can become your Payroll Department. A non-core function is one that is not a profit center (meaning, you don’t charge customers for it). A non-core function may be essential, but doesn’t differentiate your business strategically from competitors. In most businesses, administrative and back-office activities such as payroll are non-core functions. But the question business owners and managers want answered is: what do you actually gain from outsourcing payroll? Is it worth all the time and effort just to investigate and identify appropriate outsourced service providers? Then there’s the work involved to transition the function outside to the third party service. Do the benefits of outsourcing outweigh that effort? By chosing to outsource the functions you reduce the risk of the payroll not being processed, to manage growth by anticipating the increased payroll responsibilities that will be required as the firm grows and hires more employees, and to keep up with technology. It frees up time and resources to focus more on your core business. It gives you access to more technology and expertise to perform payroll well. It reduces costs and risks. Let’s examine these benefits in more detail, and what they can mean to your business. Payroll is one of those critical functions that may not directly increase sales, but carried out poorly, it can harm your business. It can sap internal time and attention away from core activities. Businesses have to comply with a wide range of laws when it comes to employees. It takes considerable time and attention to detail to deal with them. There are the obvious legal requirements, such as tax reporting and remittance. Requirements around withholding taxes from the employee’s pay, and also calculating the employer’s portion of taxes along with electronic filing requirements. Taxes, though, are just the start. As an employer, you also need to understand wage and hour laws. Then there may be new-hire reporting requirements, and state requirements around unemployment compensation. You would have set aside a certain amount of time each week, fortnight or month to run payroll. Then you get an unexpected surprise in the form of a notice from Revenue. But it’s not just that the Revenue is notifying you that you owe a fine. Now you have to go through your records and investigate to determine if you actually committed the infraction. All of a sudden you are involved in a dispute resolution, and it never happens at a convenient time for a business owner. Another reason to outsource is to get access to expertise and technology. Just as important as expertise is new technology. Employers today rely on technology to operate more efficiently. As a business grows, employers have more employee records to keep and also need more reporting. Lack of technology becomes a hindrance to scaling for growth of the business. Employees also expect technology. Employees today want options like direct payment into their bank accounts and access to their payroll information online. Employers that aren’t able to provide such options may be at a competitive disadvantage. On top of that, the explosion of mobile device usage is ushering in a new level of technology expectation. Mobile use is still nascent when it comes to payroll, but it’s growing at a rapid rate. Employers are using mobile devices to look at certain reports and look up information, such as how much money they need to have in the bank on payroll dates, he noted. Employees also are beginning to use mobile apps to check their own records. We expect payroll mobile usage to continue to grow, because it frees up business owners and managers to leave the office. Outsourcing payroll can also assist with cutting costs and limiting risks. On average, businesses are overpaying employees by about 4 percent because of differences between the employee’s time and an accurate time record. Avoid potential penalties for violating reporting and other requirements. Today there are outsourced solutions for businesses as small as one employee. A good payroll provider offers capabilities that go beyond what you can do on your own. If you haven’t considered an outsourced solution before, make this year the year you switch. It will deliver peace of mind for you as the owner, and free up time in your company. But when it comes to payroll, there are other points to consider also. You’re giving your payroll provider the names, addresses, social security numbers, and bank account numbers of your employees. You’re giving a power of attorney to make filings on your behalf. Go with a provider that is financially strong with good controls in place. Does the payroll provider have a strong track record of serving businesses your size? Is the provider experienced in your industry? Consider the broader services you may need as your business grows, such as benefits and HR services. Will the payroll company be able to provide those? Does the payroll provider have the resources to keep up with the burgeoning laws and regulations around employment, healthcare and taxes? Evaluate the payroll company’s technology, including its mobile readiness. Is the payroll company investing in new technology? Can they keep up with technology as demand for it on the employer and employee side grows? Can your accountant get easy access to your payroll and related records for purposes of reconciliations and tax filings?